On the surface, some homes are deceptively clean-looking, with visible vacuum cleaner lines running down the carpeting, and the smell of household cleaners fumigating the air. However, there are many hidden health hazards that can lurk in air filters, air ducts, carpet fibers, fans and more that can make breathing very difficult. 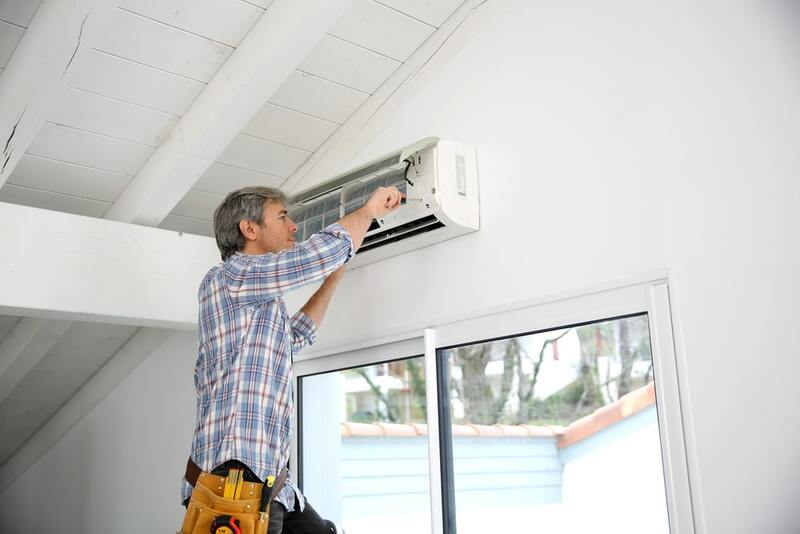 It’s recommended by most HVAC contractors that air conditioning filters be changed at least once a month. In a short amount of time, air filters can become clogged with pet dander, dead insect parts, dust, and other allergens. Just imagine turning on an air conditioner with a filter that hasn’t been changed in months. It would behave as though it were not filtering the air at all. In the modern era of air-tight doors, high-efficiency windows and high-performance insulation, it’s no wonder that air ducts have decreased air flow running through them. A proper air duct cleaning will take the average person 3 to 5 hours to complete, and should consist of the cleaning of each register, inside of the ducts and the interior sections of all heating and ventilation components. The furnace fan, heat and air conditioning pump, and all coils should be cleaned thoroughly to remove harmful bacteria, mold and dust mites. As an added protective measure, you can spray an antibacterial spray on each of these components to further improve your home’s air quality. For those who suffer from allergies, the self-cleaning of air ducts may not be the best option. In this case, it’s best to hire a local duct cleaning company for the job. On average, duct cleaning services will cost around $90 to $125.00 per hour. Air ducts should be thoroughly cleaned every 2 to 3 years. Even with regular vacuuming, dust particles can sink into the carpet fibers and padding below it. Much like an air filter, your carpet acts as a magnet for attracting dust, dirt and pet dander. Liquid spills that take a long time to dry out can cause toxic mold to grow inside the fibers and padding as well. Walking across your carpet releases airborne pollutants into the air that can cause an allergic response. To rid your home of health hazards, all carpeting should be professionally cleaned every 4 to 6 months. During the dry weather months, you can become more susceptible to sinus infections, nosebleeds and colds. One way to improve these symptoms is to add moisture to the air through the use of an in-home humidifier. The humidifier works in two ways: cool misting and warm misting. Cool misting creates a fog once a disk is submerged into water and spins rapidly. In contrast, a warm misting humidifier boils the water in the tank before misting moisture into the air. In addition to providing dry sinus relief, a humidifier helps to reduce the amount of allergens in the air. Household fans are prone to becoming very dusty, especially when they have not been put to use in a while. If dirty fans aren’t cleaned in a timely manner, once turned on, they can cause dust to fly through the air, making the indoor air quality unbearable. While ceiling fans are easy to clean, standing fans generally need to be unscrewed and taken apart, prior to cleaning. We all know that smoking is bad for us, but did you know that secondhand smoke contains over 4,000 chemicals that can cause respiratory infections and asthma? If you smoke, make an effort to smoke outside, away from doors and windows. As you can see, following these home maintenance guidelines will help you and your family breathe with ease and comfort. While no home is immune to the collection of dust and other allergens, the regular cleaning of various household surfaces can significantly reduce the buildup of unwanted particles.